Place all salad ingredients in a mixing bowl and mix thoroughly. Set aside while you prepare the dressing. Place all dressing ingredients in a blender or food processor and puree until smooth and creamy. 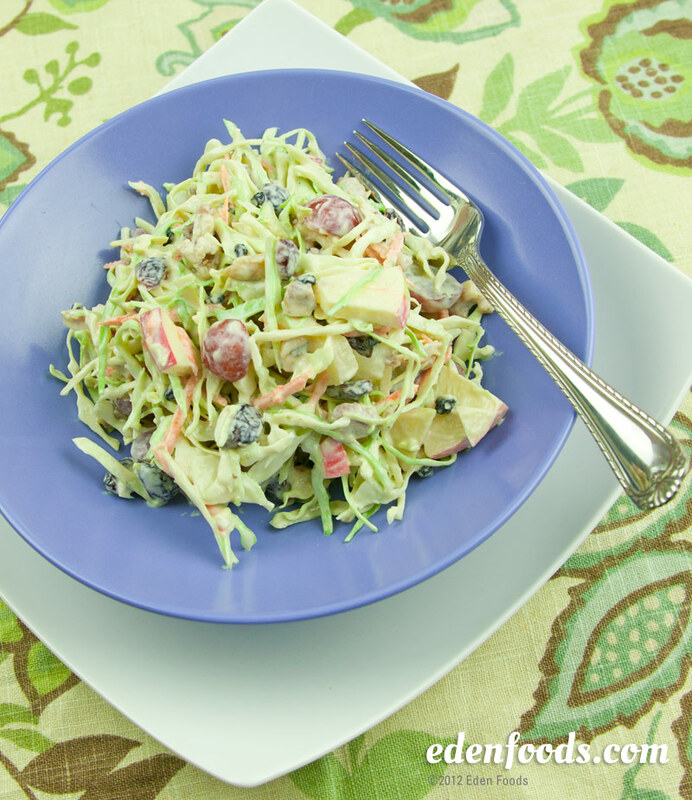 Mix in with the salad and serve room temperature or chill before serving. Tofu mayonnaise may be used in place of the above dressing. See Eden's recipe.